Last night I attended a county-wide forum sponsored by the Montgomery County PTA’s about the education. The PTA has come out strongly against the cost shift, noting that it will greatly weaken our ability to fund MCPS. I made the point that the primary reasons the state pension plan faces such a large deficit is that the state adopted a very risky funding policy that resulted in chronic underfunding, then the state increased benefits retroactively, and then the markets tanked. Now state officials are trying to say that we should “share some responsibility” for the cost of the pensions. But we don’t share any responsibility for the mistakes they made! We don’t control how much they contribute to the fund or how large the benefits are. During the middle of the PTA forum, I noticed a tweet from Governor O’Malley about comments he made at a convention that evening. He talked about how even in tough times, the state had kept funding for education as a high priority. 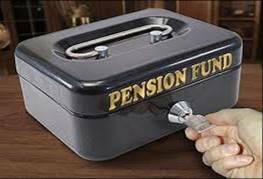 While it is true that the state increased spending today on education salaries, it is also true that the state knowingly underfunded its pension obligations for education employees. Yesterday, I attended a policy forum on workforce training hosted by the Hamilton Project of the Brookings Institution. It was a very informative event and has given me a lot to think about for policy making in Montgomery County. I also attended a legislative dinner hosted by the MCCPTA. I enjoyed the chance to meet many of the activists from around the county, and as a bonus, I got to eat with my friend Juan Johnson, a PTA leader from Germantown whom I’ve known since my earliest jobs in DC in 1995 or so. Today I was invited to join a meeting of childcare center directors. Needless to say, with a toddler and an infant in my family, I am interested in this topic. I sat with several directors of childcare centers and Uma Ahluwalia, the county’s director of Health and Human Services. I believe wholeheartedly we must do more to support early childhood programs. Particularly in Montgomery County where many of our youngest children are English language learners, the more we can do at an early age the better off we will all be since all of our kids are in the same classrooms. Today also featured much wrangling on the topic of the curfew. There is a Post story out now describing how I have worked with council president Berliner to put the curfew on a “shelf” so to speak. I have mixed feelings about it as do many people. Regardless, the enhanced police enforcement in Silver Spring and Burtonsville that we budgeted this year is working well — crime is one third (!!) of what it was before the up-staffing — and I think we should wait to see if that progress is sustained before deciding on a sweeping step like a curfew.